Now we have finished product, fresh noodles made from scratch. I trust that you’ve also made beautiful and delicious noodles by learning from these articles, but we have a way to make your noodles even better. 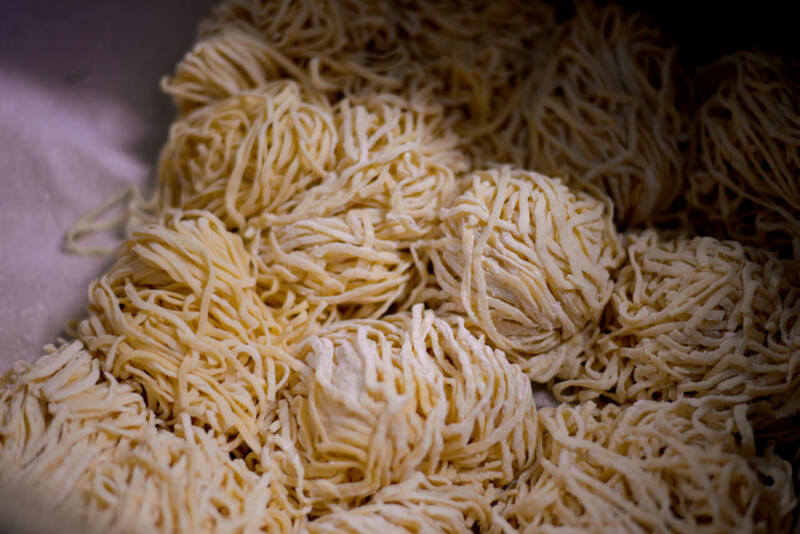 3rd resting is a process of maturing noodles in form of noodle strands. The effects gained from this process are basically the same as we get in 1st resting and 2nd resting processes. The main purpose we are trying to get from 3rd resting process are change in noodle quality and flavors. With the same degassing effects we have from 1st and 2nd resting, air bubbles are gone from noodles. Noodles become transparent and tight in texture. Ingredients, such as wheat flour, kansui, and eggs cause chemical reactions to bring out unique flavors. 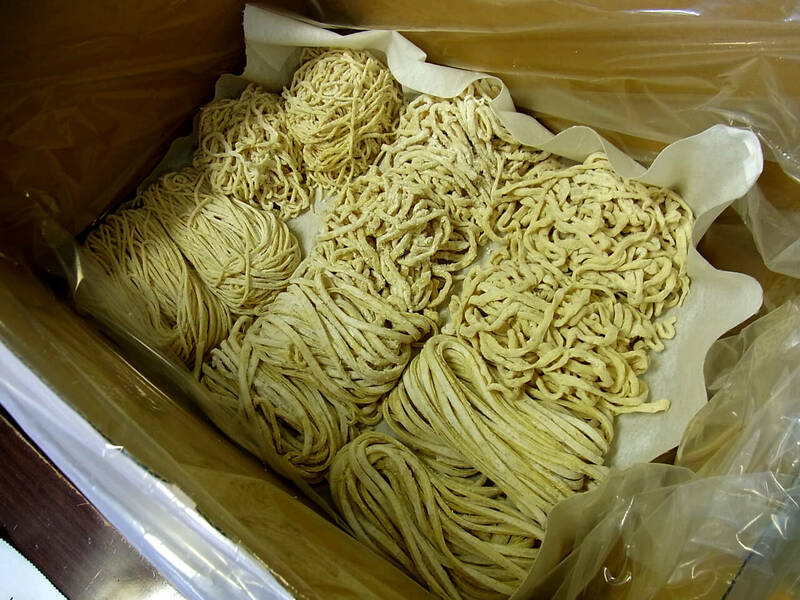 And, because of the function of enzyme of wheat flour, noodles wear ramen-like strong flavor. Okay. We understand there are these benefits from 3rd resting process, but how can we do it? So, it is a resting process done on noodles. We rest them after cutting process. Normally, resting time is 24 hours when stored at 10 – 15 degrees Celsius. After resting is complete, we should lower the temperature to less than 5 degrees Celsius to stop maturing of noodles. We usually keep noodles in refrigerator. 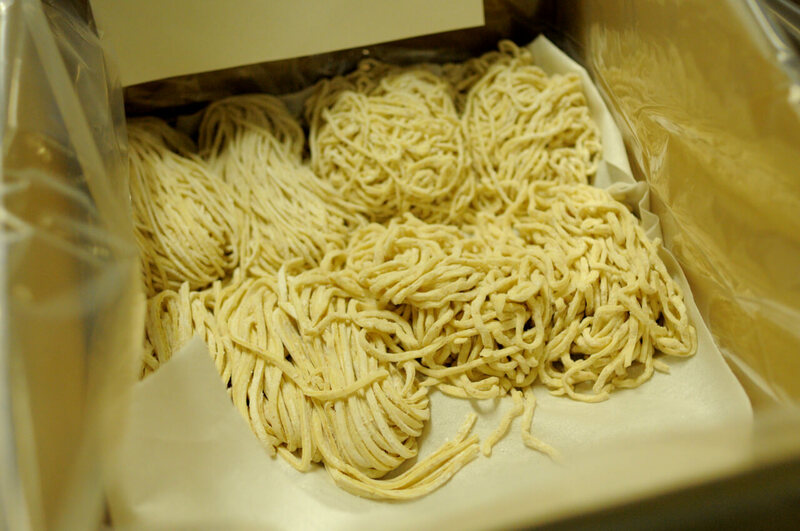 Noodles can be kept refrigerated for about one week because of the preservative effects of kansui. So, how do we store noodles? How we usually do it is to place noodles wrapped and sealed in plastic film (to prevent them from drying) in carton boxes or resin containers. We have to make a note here that the proper resting time varies for type of flour and water ratio used. For example, say we made two types of noodles from different types of flours and at different water ratios. We found out that one of them is most delicious at 24th hour after rested and another is best when we rested it for 48 hours. So, the proper resting time varies. To find the best resting time, you should try and compare your noodles after 24 hours, 48 hours, or 72 hours of resting to find the best time. You’d be amazed at how your noodles change in texture and flavors over time. That completes this article about 3rd aging process, but we have one more important article to discuss for you to be able to serve great ramen noodles. It is about cooking/boiling of noodles.